Transubstans Vinyl Club: ODYSSEY and BLACK PYRAMID !! The third issue of Transubstans Vinyl Club has finally been settled; it will consist of the Swedish Transubstans band ODYSSEY and US doom act BLACK PYRAMID! ODYSSEY will release their debut full-length on Transubstans Records in May and BLACK PYRAMID has recently released their second album on Meteor City, “Black Pyramid II”. The split is expected to be released in March on Transubstans Records. JOHN DUVA: The first review of “John Duva” ! of newly signed JOHN DUVA’s self-titled debut album! Just when I felt greater comfort with my grasp of Swedish Heavy Metal, along comes this self-titled recording by John Duva to remind me that there’s so much more I don’t know. 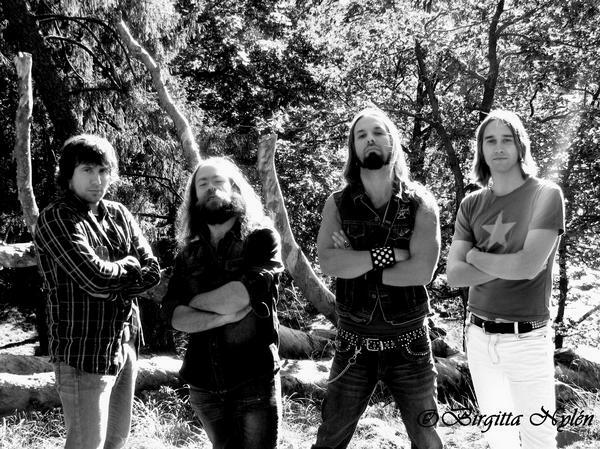 Obviously, I should never have assumed that every hard rock release coming out of Sweden would be Death metal, but listeners have embraced so much of that style of late, I was expecting only more death growls, devilish imagery, and a despairing attitude. But John Duva surprised me. They are a hard rock band, one that more devil-may-care than devil-inflected. If I had to sum up this album with one word, it would be attitude. Listening to this release, I hear a mixture of punk, garage rock, and another style I can’t quite describe. They call it psychedelic, but the sound is more invested in power than atmosphere. I want to compare then to early AC/DC or the Velvet Underground (without Lou Reed’s vocal style), or even Mountain, but those comparisons aren’t quite right. Let’s just say that these guys have a legitimate feeling of presence that caught my attention. Readers will quickly notice that some of the song titles are in English and some are in Swedish. If English is your primary language, don’t let the language differences throw you off from discovering these guys. Their musical sound and attitude comes through effectively in every track. Just listen to the way the drums and guitars drive the sound and you’ll forget that you don’t always understand the words. Besides, when they sing in English, you will have no trouble understanding the raw, aggressive, nature of their lyrics. The track that I enjoyed the most was entitled “Åkkke.” The lyrics, in English, seem to be about the passionate dislike we sometimes feel for certain people. The song begins with a strong bass note pulsating on a simple 4/4 beat, as if capturing the steady beat of anger pulsating in our veins. The lyrics, however, capture the mood better than the music. Sung by more than one member, words like “I want you to die,” “I want you to burn,” “I want to see his head on the ground,” and so forth capture the point well. I point out these lyrics, not because of their inherent violence, but because they help capture what I feel is the essence of John Duva generally. Lots of bands sing about hatred and violence, but this song felt, to me, more like an attempt to find that cathartic release from anger by singing about it. This is the anger that we think of in AC/DC’s “Dirty Deeds Done Dirt Cheap” before actually doing anything about it. I’ve probably spent too long on this single track, but I thought it represented much of the band’s sound, attitude, and style. If you like hard rock that looks back to the 60s, not for nostalgia, but for real inspiration, you’ll enjoy John Duva. I know I did. Order your copy from Record Heaven Webshop! 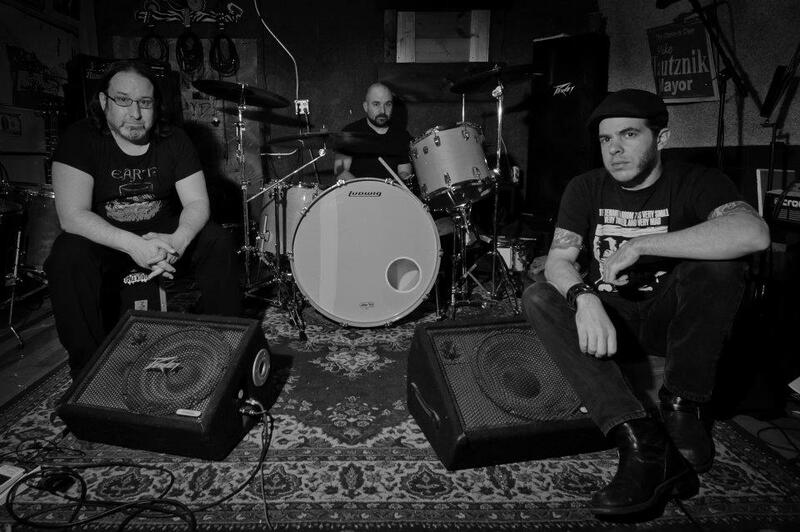 SIDEBURN: New album to be recorded! 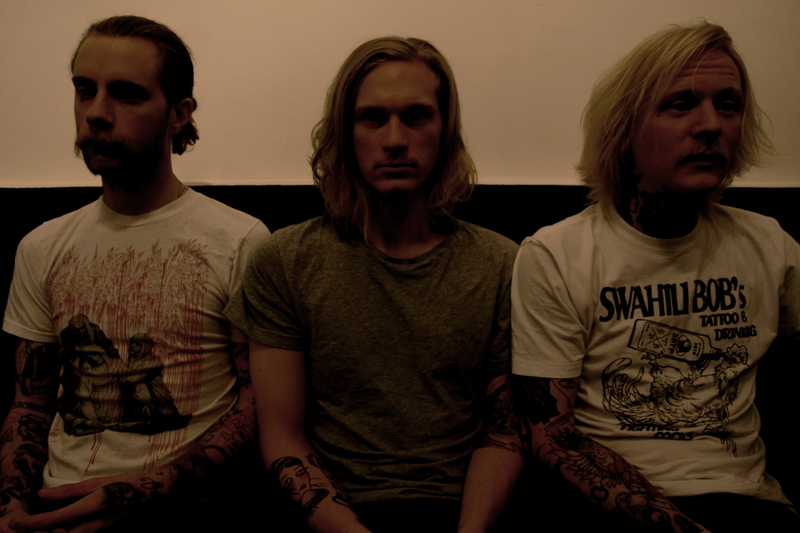 Stockholm’s SIDEBURN is once again on their way back into the studio to record the follow-up to critically acclaimed “The Demon Dance” (2010). The band enters the studio in the beginning of February, and the album is planned for release in April/May on Transubstans Records once again! Click here to open SIDEBURN’s MySpace! IN THE LABYRINTH’S “The Garden Of Mysteries” released! 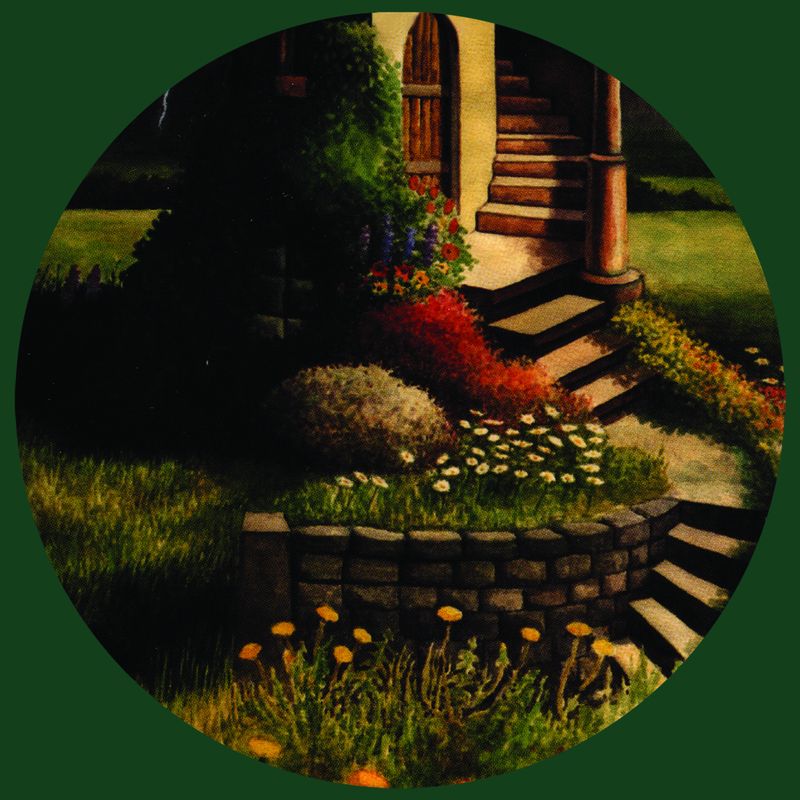 Transubstans records is proud to present “The Garden Of Mysteries”, a re-issue of the 1996 release by IN THE LABYRINTH! Order your copy from Record Heaven ! IN THE LABYRINTH: “Escape From Canaan” – single out now on Spotify! A teaser from IN THE LABYRINTH’s coming reissue of “The Garden Of Mysteries” is finally available on Spotify! 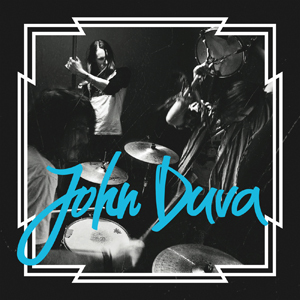 JOHN DUVA: First track from album published ! 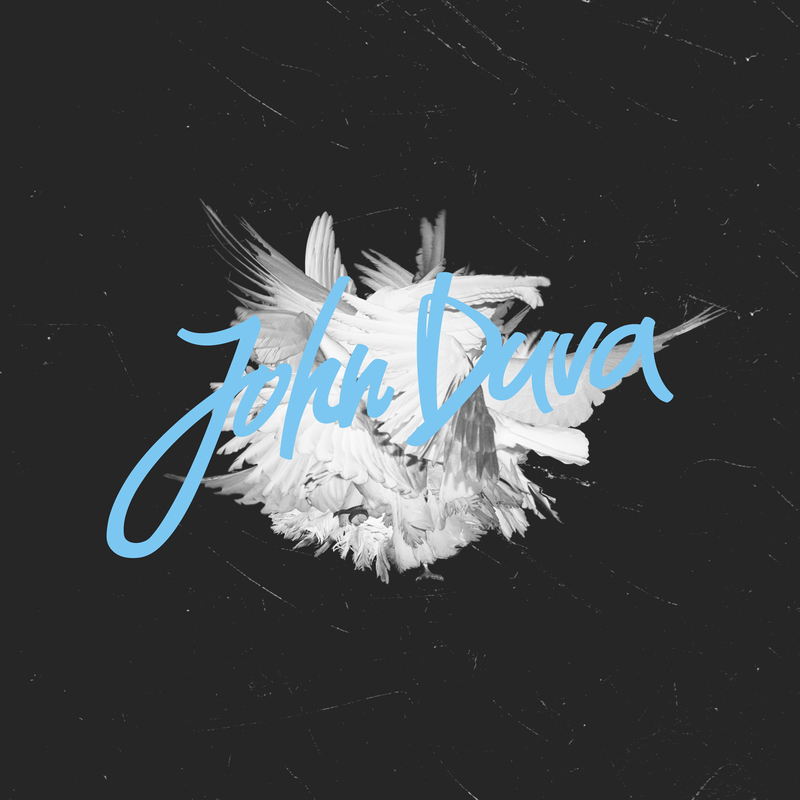 The first track from JOHN DUVA’s self-titled album is published by Transubstans Records. The smashing anti-society anthem “Arbetsnarkomaner” is a clear view of JOHN DUVA’s opinion on routine and everyday jobs. “Arbetsnarkomaner” will be released as a digital single worldwide on February 8, and will also feature a b-side consisting of another track from the debut; “Vi Drar Vårt Strå” !! Regarding the fact that Transubstans Records will re-release IN THE LABYRINTH’s “The Garden Of Mysteries” (1996) and that Trail Records recently released “One Trail To Heaven”, featuring a collection of IN THE LABYRINTH’s works, we publish an interview by Eric Petersen (Rust Magazine) who got the opportunity to interview the founder behind IN THE LABYRINTH; Peter Lindahl. RUST: Peter, you’ve been somewhat off the radar for a while. This collection is from 90’s releases, why the gap? PL: There were several reasons that I dropped out of the system for those years. Mostly I’d had it with illegal downloads, and the whole scene just got overcrowded. There are a million bands pushing to get noticed and I just didn’t want to get into a shouting match with them. RUST: How did One Trail To Heaven come about? PL: Well, it wasn’t that complicated. Trail records approached me early last summer and after talking with them, I sent some CDs packed with unreleased material and different versions of already released songs, and they chose the tracks that fit in with the concept they had in mind. After that I sent them a very large amount of material, both on the visual side as well as audio, plus factual information. RUST: You sent a lot of imagery as well? 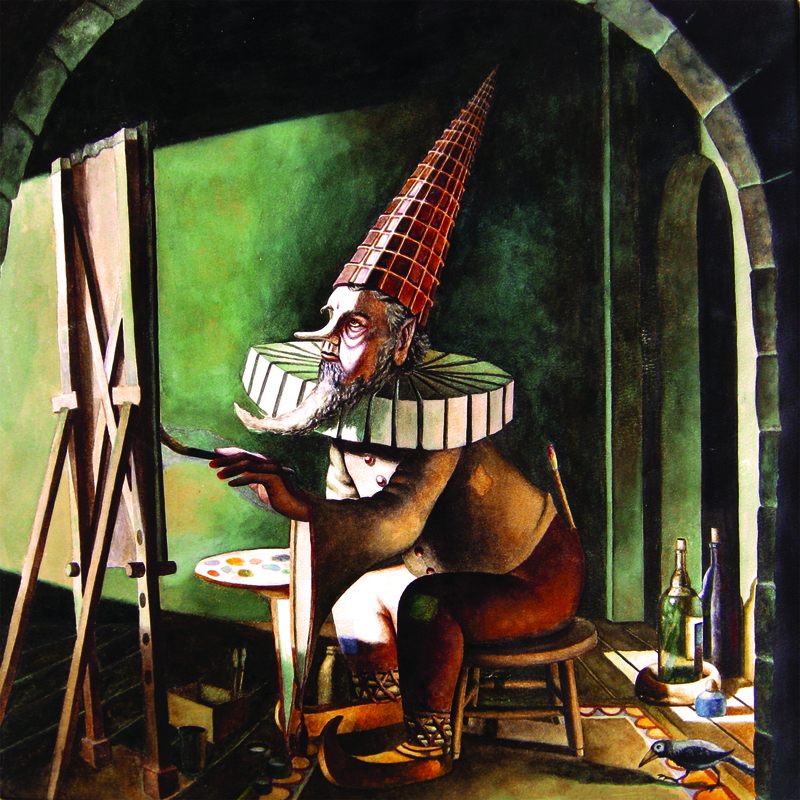 PL: Yes, I also sent images showing them one of my paintings which represents a John Bauer-like forest with a red hut and a fisherman and I also gave them lots of photos featuring those who participated or still take part in the project. In the end they chose slightly similar paintings by the Russian artist Valeria Troubina for the cover art, which I think works brilliantly with the concept. And though I had sent them all those photos, they got dismissed along the way which I also think was a fortunate decision. For never before has anything by In The Labyrinth been released in a package so neatly and beautifully designed as this! RUST: This has been a busy year for you, as you have another album coming out? PL: Yes, it’s been busy. Throughout the summer, while I was assisting Trail records in trying to choose the right tracks and getting things down in the right way for One Trail To Heaven, I was also helping the guys at Record Heaven with preparing the forthcoming reissue of our first album ‘The Garden of Mysteries’ so all in all, it was a very busy summer for me this year! RUST: Has the feedback on the collection been good? We loved it. PL: Feedback – or the jungle drums – as I call them, are already banging out the message and more and more mostly positive reviews are popping up from all over the place, while a friend living in New Jersey told me today that Kinesis have already sold out, which is quite unbelievable! RUST: Critical opinions are one thing, are you satisfied with the final compilation? PL: To have a compilation is something I had never expected in my wildest imagination! In fact, I thought it was over and goodbye for In The Labyrinth, which is why I’ve been laying low for such a long time, so just the fact that someone releases a compilation is so gratifying! And honestly, I think the album turned out to be way above any of my expectations, mainly because of how cleverly the Trail record managers Vlad and Alex combined the order of the tracks. I think they have a very clear vision of how to make things work, something which is most notable also in how many labyrinths they managed to incorporate with the design of the fold out sleeve. Even though, for a while both they and I were a bit lost in the dark concering which songs to be used and in which order, until things finally fell into the right place. I’m also very pleased with how the reportoire begins, with the once discarded long intro to ‘Lost in the Woods’, which is how our third CD album ‘Dryad’ actually should have started. But also some other (partially) alternate versions of songs help refreshen my own impression of these recordings. RUST: How was the experience of revisiting your material? PL: Since Trail records wanted me to show them lots of unissued material, I found it very exhilarating to start and dig into my archives, which I did half of last summer. In fact, I sometimes had to remind myself not to get too engaged or I’d never stop! And to revisit those songs, which have already been released on the three original ITL CDs, though in slightly divirting versions, becomes ever so more exciting once they had been placed in a completely new order. Because, as Alexander puts it, it’s highly essential how one song flows into another, not least when they have been spliced together to form suits. But the only thing that wore on me for a while was the lack of songs coming from our second album, ‘Walking on Clouds’, though Alex and Vlad did choose perhaps the best song from that album called ‘Over the Wall’, of which one of its verses actually appears inside the fold out sleeve, beautifully written as if by hand, this being one of many details making me feel so proud of this album. But if “Clouds” isn’t so well represented, I can understand why this is since that CD album probably departs a bit from what Trail records had in mind when they started putting it all together, simply for leaning a bit too much on India and its music cultures. After all, it would have made for a shattered impression if they had squeezed too many styles in with what they were trying to achieve. RUSH: Tell me a little about sound engineer George Dugan and his involvement on the project. PL: George did a marvelous job at getting all the bits and pieces together right at the end. I asked of him not to overdo the mastering since the songs had already been given this treatment before, partly by me and several other sound engineers here in Sweden, to which he accordingly agreed. But what really amazes me is how he was able to follow Alexander’s and Vlad’s ever changing directions without messing things up! He must be a technical wizard to manage so well with such a difficult task! RUST: What have the other musicians felt about the collection? PL: To be honest, there has never been that much of a band apart from in the 80s when the first incarnation of ITL called ‘Aladin’s Lantern’ was an actively performing and recording unit, so nowadays I’m rarely in contact with most of the musicians and singers who have participated in these recordings, some of them actually having moved away, even to other parts of the world. But there is a core of enthusiastic musicians surrounding the labyrinth, such as Robert Eklund, who plays a large number of string instruments including lutes, celtic harp and various types of guitars, also Stefan Ottman with whom I’ve been working for many years on a yet to be accomplished and hopefully released ITL album called ‘Samas Antaral’, while there is Håkan Almkvist, who was my main collaborator, especially on ‘Walking on Clouds’ and with whom I hope to create some more ITL albums in the future. And then there’s Helena Selander, whose angelic voice has contributed to lots of ITL recordings over the years. Robert just loves everything about the album while Stefan still hasn’t heard any of it as he lives in another part of Sweden. And Håkan, who is now in India, said he reckons it turned out just lovely – and with more sitar work from his side than he had expected, while Helena seems to be thrilled at being quite a prominent figure with her high piched angelic voice featured on quite a lot of the tracks. RUST: You have a connection to another band that Trail Records has released right? PL: Oh, yes, I’ve always been a big admirer of Ole Lukköye, which Trail records feature as one of the bands in their catalogue. In 1999 when my wife and I visited St Petersburg, we were going to meet them there that winter but missed them by an inch. And so later on we made an exchange via postal services instead, them sending me one of their albums and me doing the same by giving them ‘The Garden of Mysteries’. RUST: So you seem to be really happy with the experiences around both of the albums this year. Has revisiting your past changed your plans for the future? PL: Well I wouldn’t say that, because after The Garden of Mysteries has been released as a reissue, I’m still aiming at finishing the long term ITL project called ‘Samas Antaral’ and after that, another album called ‘To Our Rescue’ which has also got roots well back into the early to mid 90s when we layed the first tracks. But if you mean emotionally, then I can go along with that! Because this unexpected uprising of In The Labyrinth does help spur a huge amount of energy and motivation, not only in me but also in some of the others with whom I collaborate.